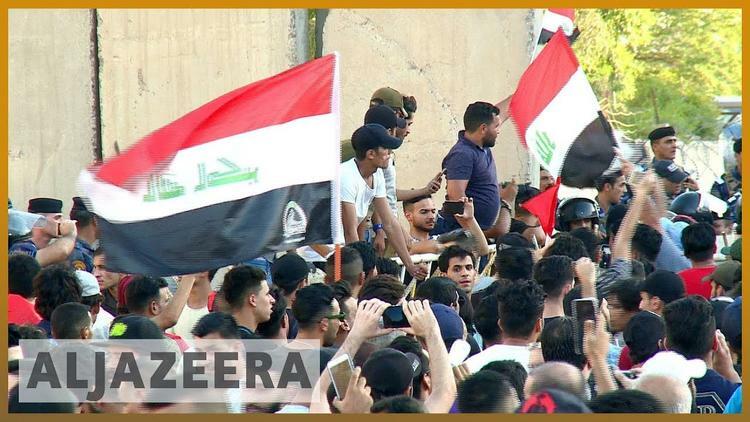 A security guard outside a branch of one Iraq’s most powerful paramilitary groups shot and killed a protester on Friday while trying to push back a crowd, police sources said, ratcheting up tensions over a lack of basic services sweeping southern cities. Prime Minister Haider al-Abadi, who is seeking a second term, promised that his Shi’ite-led government would fund electricity and water projects in Basra, where the colour of tap water is often brown because it contains dirt and where garbage is piled up along many streets. On Thursday, Shia Muslim cleric Muqtada al-Sadr, whose bloc finished first in the election, said politicians should suspend efforts to form a coalition until the protesters’ demands are met. Sadr, whose militiamen staged uprisings against US forces after the 2003 invasion, has in the past mobilised tens of thousands of people to press his demands. Iraq’s Shia heartland in the south has long been neglected, first by Sunni dictator Saddam Hussein and then by Shia-dominated governments after him. “We are demanding the sacking of the governor and removal of all corrupt officials from the province,” said Faris Abdel Karim, who helped organise a protest outside the house of the provincial governor in the city of Nasiriya, where police fired in the air, wielded batons and fired tear gas.